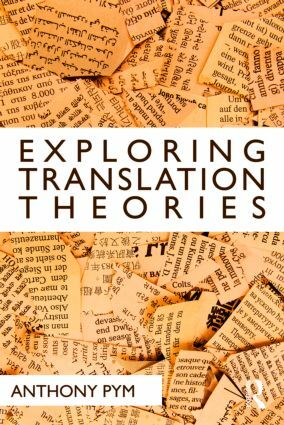 Exploring Translation Theories presents a comprehensive analysis of the key traditional and contemporary paradigms of translation theory. The book builds on Western theories of translation, starting with a survey of the classical twentieth-century linguistic approaches before moving on to more recent models such as cultural translation. Each central paradigm and its associated theories are addressed in turn, including equivalence, purpose, description, uncertainty, localisation and cultural translation. Readers are encouraged to explore the various theories and consider their strengths and implications for translation today and in the future. The book closes with a survey of the way translation is used as a model in postmodern cultural studies and sociologies, extending the scope beyond traditional Western notions. Each chapter includes a wealth of material for readers, including key concepts, an introduction outlining the main points, illustrative examples with translations, a chapter summary, and discussion points and exercises. Exploring Translation Theories uses numerous examples from a range of languages, although knowledge of no language other than English is assumed. With a wealth of tasks and activities, it will be ideal both for classroom and self-study use. This comprehensive and highly engaging book is designed for students studying Translation Theory in Translation Studies and Applied Linguistics programmes. A companion website for this book can be found at http://www.tinet.org/~apym/publications/ETT/index.html, with tasks, activities, video summaries and interviews.